Dennis Shaughnessy founded the Social Enterprise Institute, an academic unit within the D’Amore-McKim School of Business, and is its first and only Executive Director. Professor Shaughnessy provided the seed capital to start SEI in 2007, and remains its principal donor. Professor Shaughnessy created the undergraduate curriculum for social enterprise studies at NU in 2008, which now lead to either a business major within the entrepreneurship concentration or an interdisciplinary minor. 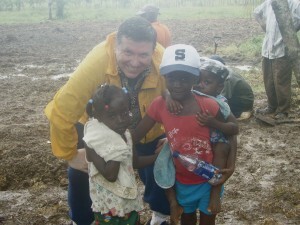 He also introduced social enterprise to the MBA program at NU. His courses range from an introduction to global social enterprise and economic development, to impact investing and microfinance, as well as field research programs in the Dominican Republic (Haiti), South Africa and Jamaica. These unique field programs and on campus courses and seminars have led to NU’s social enterprise program being one of the largest and most diverse among undergraduate institutions worldwide, with nearly 500 students from NU and partner institutions engaged in social enterprise research, learning and service each year. He also created and teaches seminars in social enterprise in NU’s Honors Program, including impact investing programs in which students invest capital from outside donors in organizations providing enterprise solutions to global poverty. Professor Shaughnessy is also the faculty advisor to the SEI Student Association, the SEI Newsletter and the SE Review, and has won numerous awards for his teaching. In addition to his role as Executive Professor at NU, Professor Shaughnessy is also a Distinguished Visiting Professor at TSiBA of Cape Town, South Africa (a free university for disadvantaged students) and INTEC of Santo Domingo, DR, where he teaches courses in social enterprise. Professor Shaughnessy is an investor and a philanthropist as well, supporting social enterprises that bring innovative and high impact solutions to global poverty. In addition to his work at NU and SEI, Professor Shaughnessy has more than 25 years of experience as a business executive, corporate director, lawyer and public servant. His advanced degrees include a doctorate in law (Univ. Maryland), and masters degrees in business (NU) and social policy (Univ. Michigan). Alex is a fourth-year student at Northeastern. She is majoring in Business Administration with a concentration in Entrepreneurship, and minors in Global Social Entrepreneurship and Psychology. 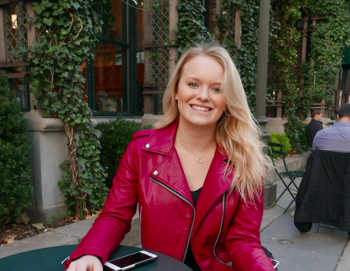 She has completed two co-ops – the first in a marketing and communications role at Pioneer Investments, and then as the marketing and business growth co-op at a NYC travel startup called Noken. 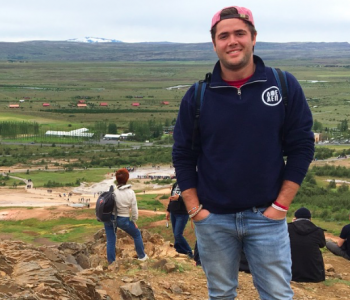 After completing a semester in New York, Alex attended the Social Enterprise Field Study in South Africa. She’s really excited to continue her experience with social entrepreneurship by working with SEI this year. Alex, born and raised in New York City is in his fifth year studying Business with a concentration in Finance and a minor in GSE. With a passion for creating social change he has stayed as involved in the SEI community as possible.He was one of the few members of Masiphumelele Community Innovations (MCI) a small microfinance group on campus that gave micro loans to entrepreneurs in the Townships of Cape Town. This past summer he was a TA for the Social Entrepreneurship and Business Consulting dialogue in Cape Town, where he had been a student on the program the year before. Alex sees Social Enterprise as the greatest intersection of business and making real positive change. 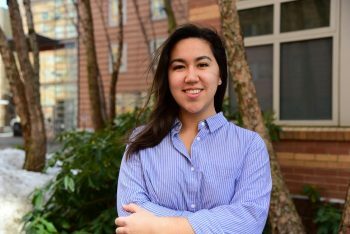 As an International Affairs major with minors in Global Social Entrepreneurship and Women’s, Gender, and Sexuality studies, Ally’s time at Northeastern has taken her on various programs around the globe. Her co-ops at a refugee and immigrant resettlement agency in Boston (IINE) and an international development organization (Oxfam) in DC provided her with unique perspectives on institutional power, refugee policy, taxation and lobbying, and campaign management. In 2017, Ally participated in the South Africa Field Study program and a Human Services Dialogue to Lusaka, Zambia. She loved her time in Cape Town so much that she returned the next summer as a Teaching Assistant. 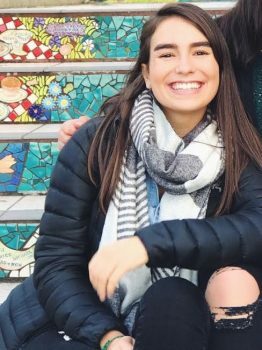 Ally has thoroughly enjoyed working for SEI and Professor Shaughnessy and looks forward to the coming semester as a Teaching Assistant for Corporate Social Responsibility in Business! Through her classes, nonprofit management, social enterprise, and impact investing have emerged as key subject areas of interest. Ally’s final year at Northeastern is dedicated to honing these interests to decide what opportunities in this space she’ll pursue after graduation. Kelly Szaniawski is a 4th year Health Science Major pursing a minor in Business Analytics. She is the current co- president of the Social Enterprise Institute Student Association and Director the Health and Wellness Committee in the business professional fraternity, Alpha Kappa Psi. Her first co-op was at the Cambridge Health Alliance as a physical therapist aide. Kelly was introduced to the social enterprise space through the Global Social Enterprise class taught by Professor Shaughnessy, and attended an alternative Spring Break service trip to the batey in the Dominican Republic, which was a meaningful and educational experience about the potential social impact that social enterprise can have. Hoping to bring a health-based perspective into SEISA, Kelly is also passionate about health and wellness-based issues such as mental health, nutrition, and preventative medicine. Charlotte Fall is a second year Human Services and International Affairs major and minoring in Global Social Entrepreneurship and Business Administration. She is the current co-president of SEISA. 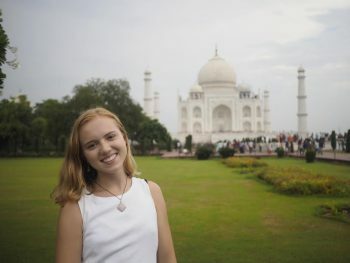 Charlotte attended SEI’s alternative spring break trip to the Dominican Republic working with Haitian refugees, as well as a Dialogue of Civilization to India this past summer to study social entrepreneurship, sustainable development, and gender perspectives. These educational experiences were very influential in developing her main interest in human development. She currently volunteers at Hyde Square Task Force, mentoring youth primarily of Latin origin to reach their full potential through career and educational planning.